I invited someone to look at my Blog recently, just to tell him that I am doing something new. He happens to be somewhat computer literate. When I heard back from him, he wanted to know what he was looking for. After receiving that response, I wondered how many Bloggers are out there, who are feeling lonely, and become discouraged about blogging because NO One is reading, or viewing, let alone, commenting, or ‘liking’ their Blogs. I’ve been blogging since May 2011. As of October 1, I will have started my 6th month, so it seems right to check what I am doing at Tech4Boomers.com, and to confirm for myself what I think I’m doing. ♦ I have been interested in technology, after leaving a career in film and television, for about 25 years now. My true ‘likes’ are Outlook Email, and oddly enough, Word Processing. I am an iPhone/iPad ‘groupie’. I also dabble in PowerPoint. I Love Apps! ♦ Blogging provides a way for creativity on my own terms. I can cover the topics I find interesting, put my artwork in, say it the way I feel I want to, and that gives me a wonderful feeling of freedom. 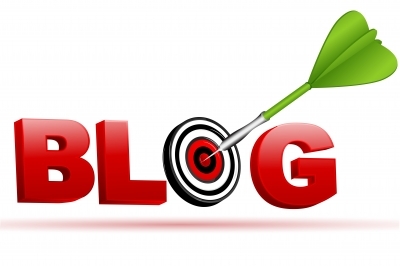 ♦ Blogging keeps me informed and connected with an outside world. I find it intriguing to read what others are thinking. Blogging is a universal ‘connection’ tool. ♦ It attempts to simplify technical issues for my generation, and younger people who want to learn something about Twitter, Linkedin, WiFi, 3G, iPhones, iPads, Blackberry phones, Apps, and various other computer related topics. ♦ It’s designed to give a knowledge level to those who are not ‘computer savvy’, but would like to know more. ♦ It’s designed to help others when possible. ♦ It’s fun for me! In addition to providing a platform for me to improve my skills overall, and blogging skills in particular, this activity allows me to introduce friends and family to the blogging experience: What is it? How does it work? What is its reach, and knowing is it a worthwhile undertaking. So here’s the conclusion: I’ve decided to continue! 🙂 I hope this was helpful in further clarifying what Tech4Boomers is about. See you at the next post !